Close cooperation with NGO "Humanitas". Our Scout and Guide organisation has been developing and leading programs on sustainability and peace-education since our beginnings. As a youth organisation, we are constantly dealing with educational challenges in a way that we are scanning youth needs in a today's world and trying hard to find appropriate methods and contents to answer those needs through the work of committed volunteers. From 2014 on, we were a part of European partnership where WOSM, WAGGGS and some of theirs member organizations (f.e. us) cooperated with CSO's from Global education field. We cooperated in a project called "Scouting our way towards global citizenship in EYD 2015 and beyond" and produces (together with 11 European partners) quite nice number of global education materials, tools and programmes for youth work. We are addressing topics and developing new strategies on human rights, non-violent communication, current environmental issues and sustainable life decisions, social justice etc. and most importantly on interconnectedness. Result of the successful partnership work is also that since then we are intertwining both approaches and by that making a big impact on our members, their families and wider public. Between the years 2015 and 2017, ZSKSS - Skavti, in cooperation with a non-profit organization Humanitas, realizes a project whose aim is to enhance the role of the Scout and Guide movement in the support of human rights, human dignity and equal opportunities in a more just world. Its purpose is to encourage Scouts and Guides to perceive the world as a one whole and their actions in the context of its interconnectedness, so that they are increasingly able to consider and reflect on the consequences of their actions. We believe this understanding is going to contribute to a more responsible decision-making and conduct of every one of us. The project connects the most current needs of today's world with the ideas and vision that stood behind the Scout and Guide movement's birth. The purpose and mission of scouting has always been to improve, help, and be beneficial. 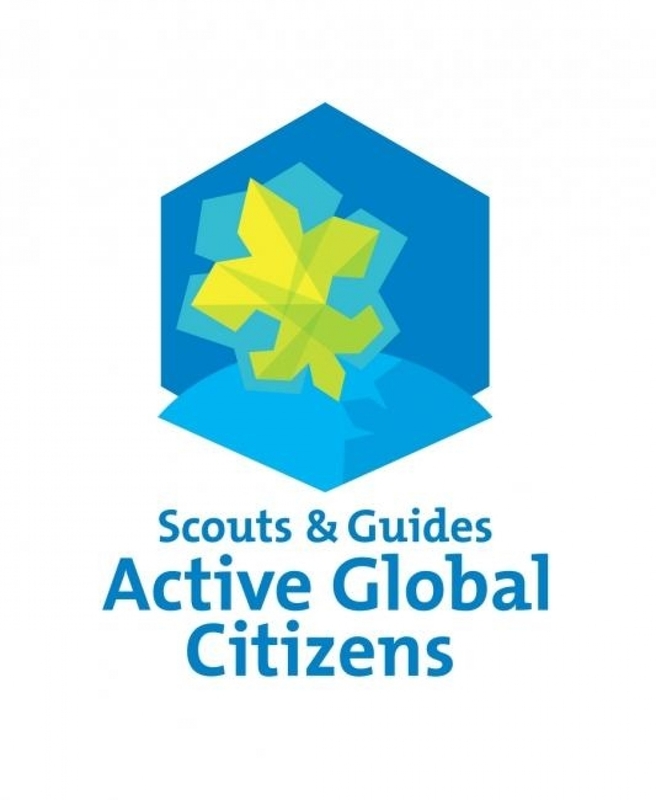 "The Scouts and Guides Active Global Citizens" project offers a way to go about it. We aim to teach Scouts and Guides to be aware of their influence and know how to use it. We aim to make them increasingly aware that their actions have an impact on people they'll never meet and the environment in places they'll never visit. In doing that, we aim to enrich the Scout and Guide programme by a “global dimension.” As part of this project, among others, a network of lecturers of global development education will be developed and a self-assessment tool for Scout Units and Groups, a methodology of active citizenship for Scout Units, and database of activities, created. Our specic goal is by 2017 reach a state of play, where Scouts in 7 EU countries are empowered to boost locally and globally responsible lifestyles in their communities, as well as in the European Scout movement and the world society. The action will, through DE, signicantly empower Scouts&Guides to be actors of change towards sustainable and responsible attitudes amongst other Scouts, their peers, families, society and nature. The year 2015 has been declared by the European Union as the Year for Development. For us, the right time for exploring the global connections and searching for solutions of social and environmental challenges, is always there. The biggest jewel result of the project so far is definitely the group of 11 scout and guide GE trainers. Each individual is contributing a lot in fields he or she feels passionate about. This devotion leads to awsome things such as inspiring and encouraging Kenyan friends to establish new scout group in Kibera slum in spring 2016, Slovenian president Borut Pahor himself visiting one of our scout activities during World Youth day (GE seminar about saving water and Earth, april 2016) and inspiring the whole local unit in the town of Postojna to dedicate the whole year to activities that are rising global responsibility of all age sections (GE trainers as mentors).